The FS1 prelims broadcast will begin at 6 p.m. ET/3 p.m. PT and also feature Brandon Quarles (21-4-1, 10 KOs) battling Kansas-native Aaron Coley (15-2-1, 7 KOs) in an eight-round super welterweight bout, plus Baltimore's Lorenzo Simpson (2-0, 2 KOs) taking on Earl Henry (0-1-1) in a four-round super welterweight attraction. Additional action will see unbeaten Cobia Breedy (12-0, 4 KOs) in an eight-round super featherweight fight against California's Fernando Fuentes (14-7-1, 4 KOs), San Antonio's Ramon Cardenas (16-1, 9 KOs) facing Michigan's Ryan Lee Allen (8-2-1, 4 KOs) for eight-rounds of featherweight action and unbeaten Maryland-native Mark Duncan (3-0, 3 KOs) battling Arturo Izquierdo (5-2, 2 KOs) in a six-round middleweight attraction. Rounding out the non-televised undercard action will feature a trio of Washington, D.C.-natives as unbeaten Keeshawn Williams faces Evincil Dixon in a six-round welterweight fight, undefeated Patrick Harris steps in for an eight-round super lightweight fight against Costa Rica's Bergman Aguilar andwelterweight Kareem Martin squares off against Joaquin Chavez for six-rounds of action. 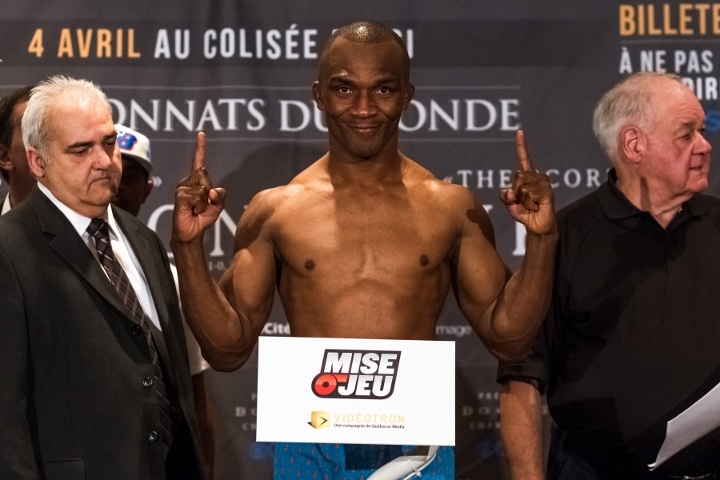 The night will also see Cincinnati's Adrian Jerome Benton making his pro debut in a four-round super lightweight duel against Archie Weah.